Photo by Allegra Boverman. At the Peabody Institute Library of Danvers. 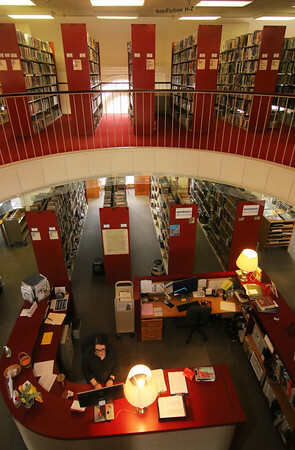 The reference section of the library, which used to be where the auditorium was, and still has touches that refer to it. Rachel Alexander, an IT coordinator at the library, works below at the desk.